Wolf Creek Park and London Peak Trail are some of the great locations when wanting to tour the gold-rush past. 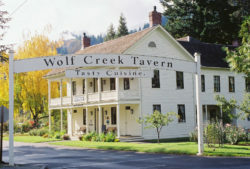 Pop-in and see rooms once occupied by Clark Cable and Jack London. If you want a different perspective travel up to the Jack London Peak and view the entire valley. The trail is well managed and handicapped accessible but should be traveled with discretion. Applegate Trail Interpretive Center located at 500 Sunny Valley Loop, Sunny Valley, Oregon 97497, the Applegate Center (for short) gives a comprehensive overview of the historic settlements of Southern Oregon’s past. Catch it early and make sure to check out the annual Applegate Wagon Trail re-enactments. Sportmans Park & Shooting Range The Josephine County Sportsman Association (JCSA) is one of the finest non-profit Sport Shooting Facilities on the West Coast with approximately 320 acres next to Walker Mountain. Pottsville Museum & Events Make sure to drop in to experience everything that the quaint town of Pottsville has to offer. 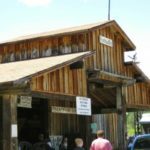 From the museum which highlights the logging history of southern Oregon and the nostalgia of pioneering times to the fun times at all of the Pottsville tractor pulls and the annual Rat-O-Rama car show. 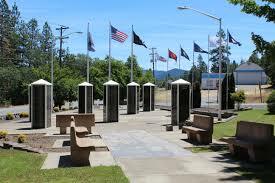 Merlin Community Park Veterans Walk of Honor is located at 100 Acorn St. Merlin, Or. 97532 Commemorating the local men & women who served and gave their lives in wars with American involvment.